Varietats: Assault and Beadery by Mollie Cox Bryan - Blog Tour + Guest Post! 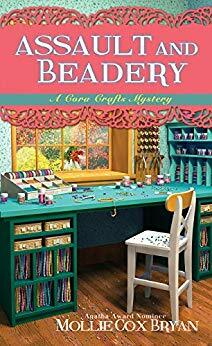 Assault and Beadery by Mollie Cox Bryan - Blog Tour + Guest Post! The characters in my books love to get together and craft. I’ve been to coffee shops and libraries that have certain nights for knitting or scrapbooking. How much fun is that? I love the connection between crafters. 1) If you have a party with one type of crafting—say knitting or scrapbooking—invite your guests to bring any extra supplies for swapping or giveaway. 2) Make certain to have plenty of good lighting in the space where you’ll be crafting. Whether your guests are threading needles or cutting paper, they will appreciate it. 3) Food should be kept on its own table. Invite your guests to take breaks from their crafting and gathering around the table for good. Nobody wants a food stain on a craft that you’ve spent hours working on. 4) Keep a lot of trash receptacles around. It will make clean-up much easier if your crafty guests and dispose of scraps right away in a nearby bag or container. 5) Have fun! Try your best to make fun crafts and not get to hung up on perfection. Have you ever been to or had a crafty party? Mollie Cox Bryan writes cozy mysteries with edge and romances with slow, sweet burn. The first book in her Cora Crafts Mystery series, Death Among the Doilies, was a "Fresh Fiction Not to Miss" selection and was a finalist for the Daphne du Maurier Award. The second book, No Charm Intended, was named a "Summer 2017 Top 10 Beach Read" by Woman's World. 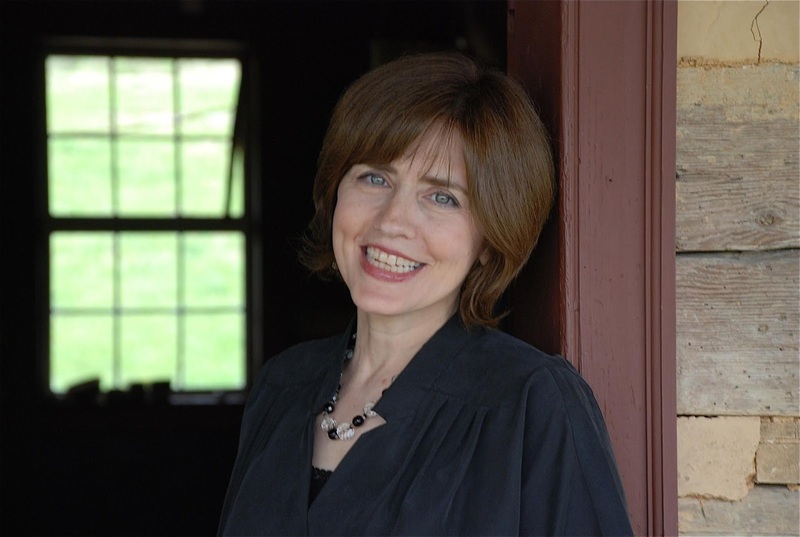 She also wrote the Agatha-award nominated Cumberland Creek Mysteries. She makes her home at the foothills of the Blue Ridge Mountains in the Shenandoah Valley in Virginia, where she works as a researcher and fact checker and writes in the early morning hours. Visit her and sign up for her newsletter at molliecoxbryan.com.